Gas leakage source localization based on sensor networks has an important practical significance in many fields such as environmental monitoring, security protection and pollution control. 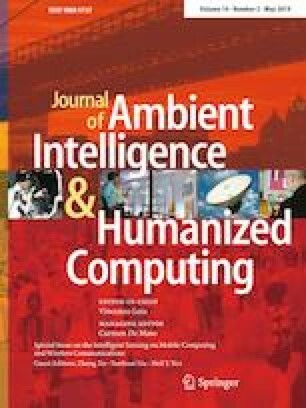 This paper proposed a gas leakage source localization algorithm using distributed maximum likelihood estimation method for mobile sensor network to improve the lower performance with static sensor network. Firstly, the likelihood function of gas leakage source parameters was deduced based on the gas turbulent diffusion model. Then, the parameters of gas leakage source were estimated based on the likelihood function with the gas concentration measurement in environment. Finally, the gas leakage source location would be achieved through the iterative optimization of the likelihood function. The preliminary experimental results show that the proposed distributed Maximum Likelihood Estimation method could be achieved an acutely gas leakage source location in an indoor environment. And the reasonable path planning and dynamic topology changing could improve the positioning performance. The authors wish to thank for the financial support of Natural Science Foundation of China (61573253, 61271321), Tianjin Natural Science Foundation (16JCYBJC16400), Tianjin Science and Technology Project (16YFZCGX00360,16ZXZNGX00080), Tianjin Science and Technology Project of Special Correspondent (17JCTPJC), National Training Programs of Innovation and Entrepreneurship for Undergraduates (201610069007, 201710069023). The corresponding author is Professor Zhang Liyi.